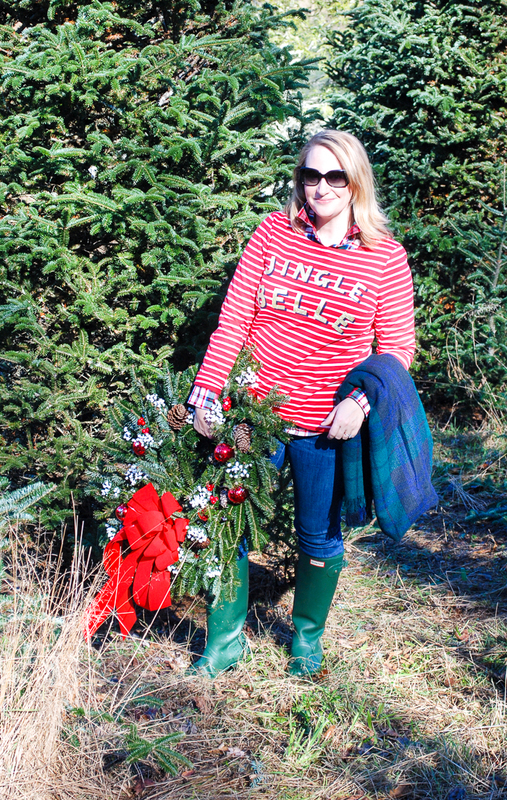 All the Christmas feels with a Carolina tree farm and the right Christmas jumper! 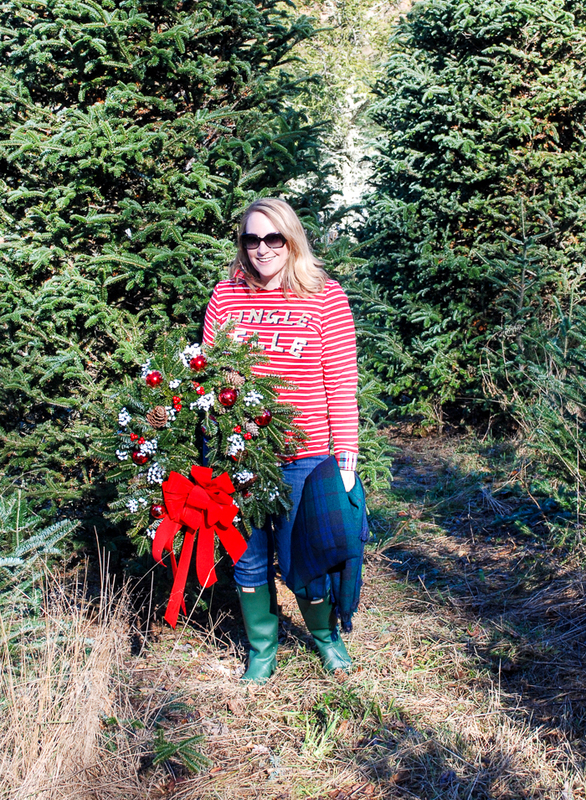 The Christmas magic simply cannot begin until I’ve traveled to the Christmas tree farm on Big Ridge! 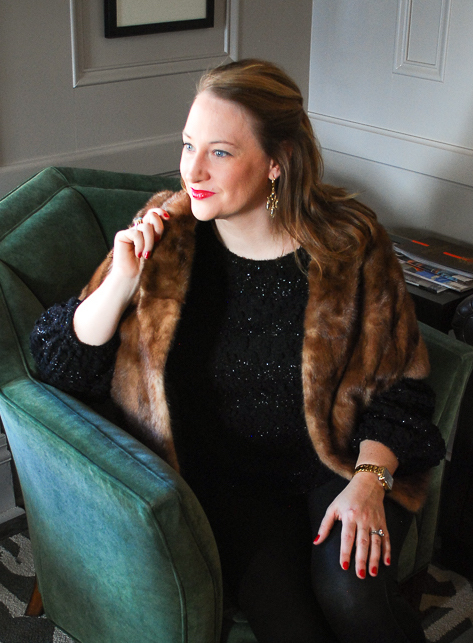 Usually, we are there every Thanksgiving helping my family with the mad dash of festive families all on the hunt for their perfect tree, but this year schedules were cramped and time off wasn’t much of an option. The very next weekend though away we went over curvy roads and through mountain passes. 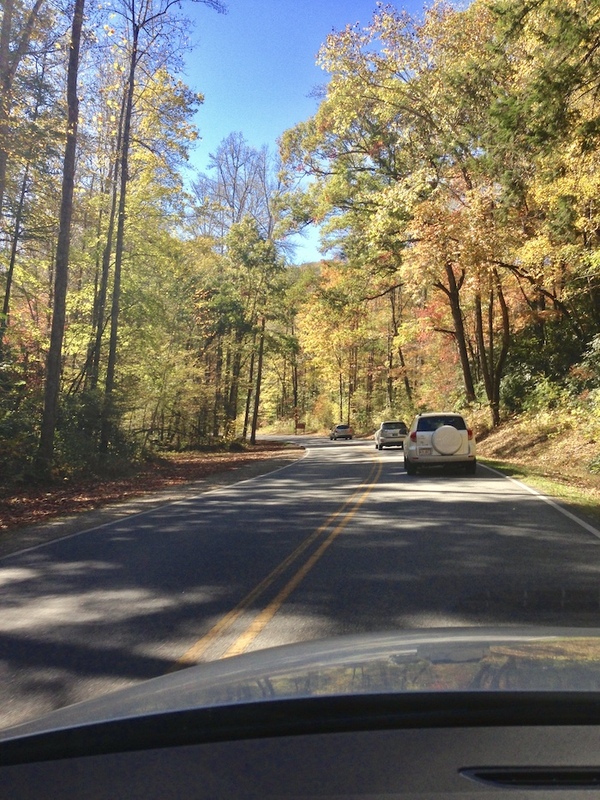 Headed to fielded valleys atop mountain peaks beneath a bright Carolina sky where evergreen trees bristle in the wind and sun. The place of home and tradition, family and hard work, wooded forests and open fields. We go to help families hunt a Christmas tree; to man the bailors; to decorate wreaths and twirl garland; to ride in the back of a truck; and to wander amongst evergreen beauty! This year I happened to find the perfect Christmas jumper to kick start the holiday season. A top so perfect, I think it was made for this Southern belle for surely at Christmas time I do transform into a jingle belle! While prancing in the tree fields was a top priority, we did get some work done, helping several families find trees and choose wreaths. S. immediately set about scurrying around on the tractor, fixing roads and swampy ponds. It was a balmy 50 degrees thereabouts, so no snowing and blowing up bushels of fun I’m afraid! 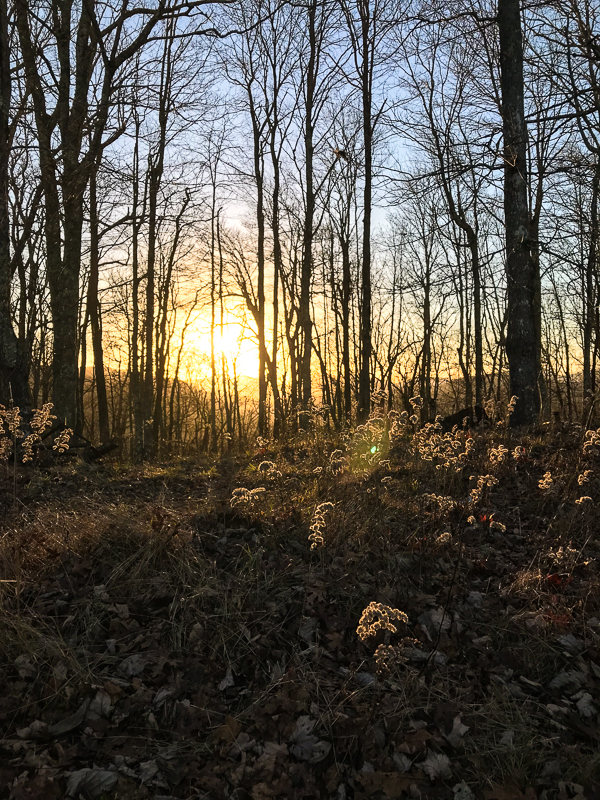 As the sun began its descent we snapped a last few pictures amongst the baby trees then headed to the shed to pack up for the night. Taking one last moment to enjoy the shimmering winter beauty of the mountains and forest as the temps started dropping. Bundled in the car down the mountain we went to enjoy an evening of pizza and Christmas movies! I hope you are enjoying all the Christmas feels!